SSX is one of those games that lives long in any Playstation fans memory. It's been over 5 years since the last SSX game (SSX Blur) and almost 10 years since SSX 3 was storming the gaming charts. It's been worth the wait though - SSX (2012) is a great game! SSX is one of the few sports games that's actually any good. Just like FIFA has dominated the football scene, SSX has dominated the snowboarding market for over a decade. Its combination of free flowing action, wide open environments and killer soundtracks make it a game you can just play, play, play!! 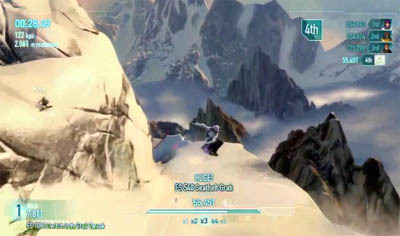 As soon as you start your first descent, you get that lusty SSX mixture of good controls and addictive gameplay. Graphics are tip top and the music tracks are what you'd expect. The games got this new remix system that mixes songs during gameplay, it seems to work pretty well. SSX 2012 includes tracks from Run DMC, Las Ketchup, DJ Shadow, Nero, Skrillex and Noisia. The games not easy mind. Don't expect your repetitive COD action of circling round and round..this game takes some practice and skill. Jumps and tricks are masterful arts but you soon get your skills in order to show off to your mates. And that's just it, SSX is packed full of great slopes and trick arenas. There's plenty of combinations to learn and features to unlock. The campaign is ok but it's more of an introduction to help you learn the basics. Lots of narrative that gives you some background on the characters and how the story comes together. There's a bad guy called Griff and he's out to overthrow your SSX team so that's your motivation for pushing the boundaries. Blah, blah.. The real meat comes from the challenges, of which there are over 100. Scores can be shared online and players can battle it out to beat other high scores. It's this online element that's going to be a very welcomed addition. 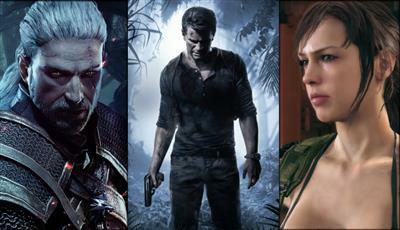 We're not going to beat on and on about how good the game is (because we want to get back to playing it!). Just make sure you put SSX 2012 on your wish list because it's going to be one of the best sellers in 2012. An addictive game that doesn't stop after the campaigns over..